Posted on Dec 19, 2014 in Gender, Misc. Source: Denny, Dallas. (2014). Self-nomination for Trans 100 List. 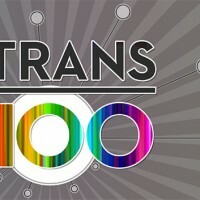 For the past several years the website Trans 100 has published annual lists of notable trans* people and their work. I have written on it on this website– here. Note: How about that! I made the 2015 Trans 100 List! Dallas Denny has been and continues to be a driving force in the fight for transgender rights. In September 2014 Dallas was in Room 901 of the Ravinia Crown Plaza Hotel with twenty other attendees of the Southern Comfort Conference to discuss the SCC’s board’s decision to move the conference to south Florida and whether those present should launch a new Atlanta-based conference. The answer was yes, and The Transgender Health and Educational Alliance was born. THEA’s mission is to provide education and promote the health and well-being of trans* people. The first THEA conference is expected to take place in Atlanta in 2015. Dallas is Chair of the first THEA Board of Directors. Dallas is a board member of Real Life Experience, Inc., the 501(c)(3) nonprofit that oversees the week-long annual transgender event Fantasia Fair, which has been held every year since 1974 in Provincetown, on Cape Cod, Massachusetts. When, in 1991, she was asked to join the board, the Fair was considered a conference for well-to-do crossdressers. Her ongoing push for inclusivity and financial responsibility helped change Fantasia Fair, which today attracts and welcomes every sort of trans* person. Prices are much lower now and the Fair’s flourishing scholarship program beings people with limited incomes to the Cape for support, learning, networking, and relaxation. Dallas was Director of Fantasia Fair for six years and continues to serve as a member of the planning committee. In 2014 she was in charge of workshops and keynotes and is in charge again for 2015. Dallas has been sounding the warning about injectable silicone since 1991 and continues to do so. This year she presented papers about silicone use at the Transgender Lives Conference in Farmington, Connecticut, and Southern Comfort in Atlanta. She speaks on trans* issues regularly at colleges and universities, most recently at the University of Missouri in Columbia and Emory University in Atlanta. In October, 2014 she gave a presentation about trans* autobiographies and led a workshop on post-transition relationships at Fantasia Fair. She has been invited to provide the keynote address at the 2015 Transgender Lives Conference in Farmington, CT. In 2012 Dallas (with Dr. Jamison Green) wrote Routledge Publishers, asking them not to publish Sheila Jeffrey’s anti-trans book Gender Hurts. This has drawn online ire and threats from trans exclusionary feminists, but Dallas and Jamison consider it worth the risk. For the past three years Dallas has been hard at work developing her website, where she has made her entire body of work available, free of charge. Her electronic magazine Chrysalis continues the tradition of the earlier print version, asking hard questions and providing balanced treatment of issues important to transpeople. In 2014 in Chrysalis, she broke (with permission) the news of the identify of Andrea Susan, the trans* woman who took most of the photos in Michael Hurst and Robert Swope’s book Casa Susanna. In September, Dallas visited Andrea Susan in her hospital room and recorded Andrea’s remarkable tale; Andrea had planned to present it in person at Fantasia Fair but her health prevented her attending the event. By showing the film at Fantasia Fair, Dallas we able to share Andrea’s story with attendees. Plans to Skype Andrea into the presentation failed when Andrea was rushed back to the hospital in an ambulance. Immediately after the Fair, Dallas had an opportunity to view the original Casa Susanna photographs at a gallery on Madison Avenue and told Andrea’s story to Casa Susanna authors Michael Hurst and Robert Swope. With her financee, Heather Verdui, Dallas co-presented a workshop on post-transition relationships at Fantasia Fair. Dallas also presented a workshop on transsexual autobiographies in which she showed hundreds of cover pages via PowerPoint. Dallas continues to write prolifically; her material appears regularly in Chrysalis, on TG Forum, and on The Transadvocate. With Dr. Jamison Green, she wrote material for 2014’s Trans Bodies, Trans Selves. She has two articles in Wiley’s forthcoming Encyclopedia of Human Sexuality, and, with Jamison Green and Jason Cromwell, has an article about terminology under review for publication in the peer-reviewed International Journal of Transgenderism. Now the Body of Work portion of her website is complete (with nearly a thousand of her articles, book chapters, short stories, novels, poems, and songs available to the general public), she is turning her hand to the revitalization of the website of the nonprofit Gender Education & Advocacy, which has been in need of a webmistress for some years. Dallas has been and continues to be a leader in the preservation of trans* history. In March she gave a keynote at the Moving Trans* History Forward Symposium in Victoria, BC. In 2014, as a member of the Fantasia Fair planning committee, she facilitated the transfer of more than 1000 trans* titles and an oil portrait of the late Betty Ann Lind to the University of Victoria in British Columbia. In 2000 she selflessly donated her extensive collection of trans* material to the University of Michigan, and continues to send materials there. Her collection has served as a magnet, attracting trans scholars from all around the world. She says not a day goes by without her needing to check a source she no longer owns, but she has no regrets about her donation. Much of Dallas’ work continues in the organizations she started and the words she has written. The Atlanta Gender Explorations support group, founded in 1991, continues to help trans* people make intelligent decisions about their lives and her articles and chapters help trans* people make critical decisions about their lives. Researchers write dissertations and journal articles based upon their time with the trans* collection at the University of Michigan. Her works are frequently cited in the professional literature, and she is frequently told by trans* people that something she has done or written or launched changed their lives. She has no plans to retire from gender advocacy, however. She will continue to write, continue to ask difficult questions, and continue her efforts to improve the situation of trans* people. After two-and-a-half decades as a resident of Atlanta, Dallas will be moving to Ringwood, NJ in January, 2015 to be married to Ms. Verdui. Denny, Dallas, Green, Jamison, & Cromwell, Jason. The language of gender variance. (Paper Under Review). International Journal of Transgenderism. Denny, Dallas, & Green, Jamison. (2014). Media spotlights. In Laura Erickson-Schroth (Ed. ), Trans Bodies, Trans Selves. New York: Oxford University Press. Denny, Dallas, Green, Jamison, & Cole, S. (2007). Gender variability: Transsexuals, crossdressers, and others. In A.F. Owens & M.S. Tepper, Sexual Health, Vol. 4: State-of-the-art treatments and research, pp. 153-187. Westport, CT: Praeger. Dallas Denny. (2006). Down and coming out at the Ross Fireproof Hotel: An essay on class in the trangender community. In G. Teague (Ed. ), The new goddess: Transgender women in the twenty-first century, pp. 106-117. Denny, Dallas. (2006). Transgender communities in the United states in the late Twentieth Century. In P. Currah, R.M. Juang, & S.P. Minter (Eds. ), Transgender Rights, pp. 171-191. Minneapolis: University of Minnesota Press. Denny, Dallas (Ed.) (1998). Current concepts in transgender identity: Toward a new synthesis. New York: Garland Publishers. Denny, Dallas. (1994). Gender dysphoria: A guide to research. New York: Garland Publishers. Denny, Dallas. (1994). Identity management in transsexualism. King of Prussia, PA: CDS Publishers. Transgender Pioneer Award. (2008). Presented at Fantasia Fair, Provincetown, MA, October, 2008. Virginia Prince Lifetime Achievement Award. Presented at Coming Together, the Annual Conference of the International Foundation for Gender Education, Philadelphia, PA, 11-15 April, 2007. Speaker Recognition Award, Madison Area Transgender Association.2005. Reception for Dallas Denny at University of Michigan Labadie Special Collections, Hatcher Library, in honor of National Transgender Library & Archive. 25 May, 2004. The Reunion (Play) selected for production at first Transgender Film Festival of New York. (ca 2003). Who’s Who in American Women, 2001- Present. Georgia’s Ultimate Transgender Service Award. Presented by Trans=Action at Southern Comfort Conference, Atlanta, GA, 23 September, 2001. Internet Movie Database Entry. (1999). See here. Denny, D. (1998, 29 August). Reception for Dallas Denny, Pioneering Activist & leader in the transgender community, to discuss her work & her new book. Common Language Bookstore, Ann Arbor, MI. Community Pioneer Award. Presented by It’s Time, Georgia! at 1998 Pride Breakfast, Mary Mac’s Tea Room, Atlanta, GA, 27 June, 1998. Honorary Grand Marshall, Atlanta Pride. (ca 1997). Outreach Award. Presented by the Outreach Institute for Gender Studies at Fantasia Fair, Provincetown, MA, October, 1995. Trinity Award. Presented at the annual conference of the International Foundation for Gender Education, Atlanta, GA, March, 1995. Texas “T” Party, Certificate of Recognition. 26 February, 1994. Friend of Tri-Ess Award. Presented at the annual conference of the Society for the Second Self, Atlanta, Georgia, November, 1992. Atlanta Gender Explorations, Certificate of Transition.1992. Gender Publication of the Year. Awarded to Chrysalis Quarterly by Texas “T” Party, February, 1993, San Antonio Texas. First Place, Talent Contest. September, 1991. Second Annual Southern Comfort Conference, Atlanta, GA. Dallas performed her son Gender Bender. Inclusion in First & Second Annual Who’s Who in the Cross-Gender Community, 1994 & 1995, Creative Design Services, King of Prussia, PA.